InSANE IS SIMPLY INDIAN-SOUTH ASIAN-NORTH EASTERN! Why is Madame Yap so cool? Now that it’s all over the place, curious me wants to know why and how Madame Yap Yen Yen is so cool about her husband’s straying ways. Is she really that naïve to disregard the dirty spectacle put up by Ng and Sue? All that naughty stuff they did together behind her back doesn’t seem to move even the slightest hair from her ‘unbending’ head. And even the court, so unforgiving in its proceedings and cross-examinations apparently failed to make Yap see that dirty side of a man she has been putting up with. The embarrassing publicity which started back in January has left her unaffected and like Sue - the girl who made this scandal so sensational - she seems to be getting used to it now. No one can miss the sight of those locked hands, and there she was, seemingly looking forward to deal with another awkward court show. 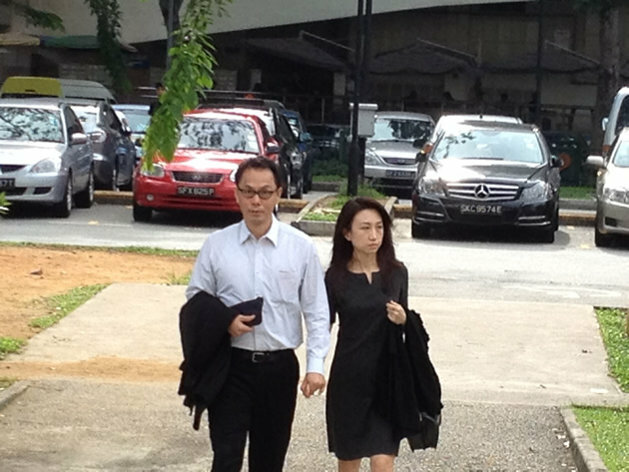 Cool and faithful Yap seemed to be more concerned about her husband’s questioned professional integrity than the clues that clearly indicated that he was cheating in the marriage. Dear, didn't she get utterly shocked, angry and saddened by those "now mushy, now lurid" detailing of intense encounters and conversations between Ms Sue and her husband? I would want to assume that she’s one strong woman who has managed to make friends with the skeletons a long time back. But, then again, it can be pretty straining dealing with them every day of your life - right in the glare of an unforgetting (and sometimes voyeuristic) public and an unforgiving probing prosecution. All said, if indeed her show of support and solidarity is genuine and not just for the cameras, then God will surely assign her to heaven for being such a faithful wife to an unfaithful husband. She clearly has not just grasped, but full-on embraced the concept of forgiving those who erred against her. And there in heaven, as we can expect, (if we overlook America's recent transgressions in another part of Asia) we can expect her to be in the company of similarly evolved spirits like a certain Mrs. Clinton. A certain Elin Nordegren's approach didn't prove to be par for this course of after-life.